Commander Scott Rosenkild salutes during the singing of the National Anthem by Bren Altenbach. 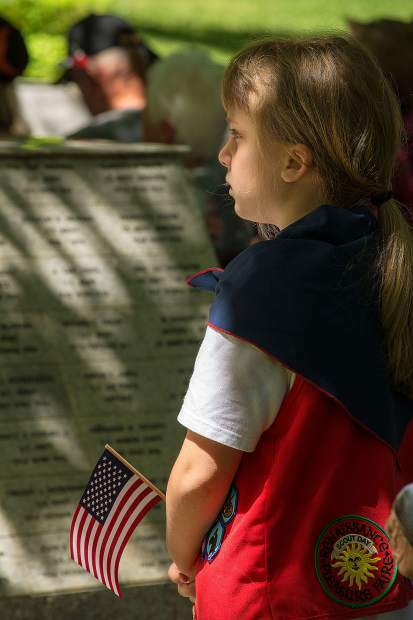 The Frank Gallino American Legion Post 130 hosted a Memorial Day program at Memorial Park Monday in Grass Valley. 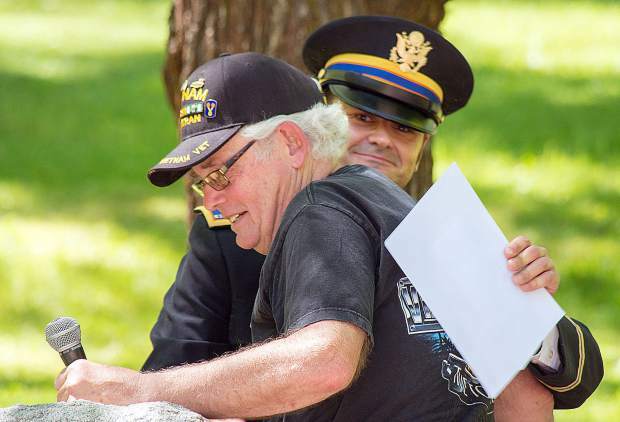 Will Buck, CW2, U.S. Army (retired), right, and emcee of the program at Memorial Park gives Tom Munroe, U.S. Army SPC4, a Vietnam Veteran, a hug after his speech. Capt G.L. Cap. Wallington, U.S. 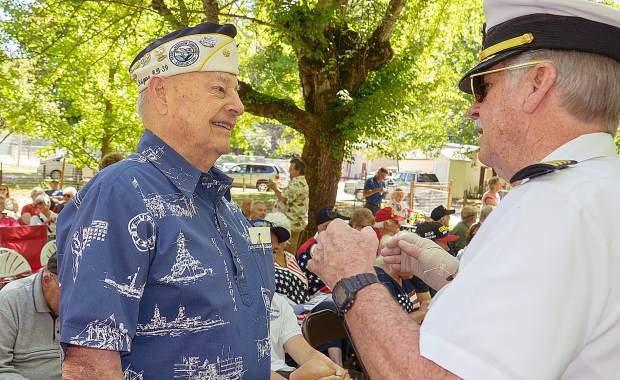 Naval Academy (right), talks to Lou Conter, a survivor of the bombing of Pearl Harbor on the USS Arizona, at a barbecue lunch that followed the Memorial Day ceremony Monday at Memorial Park. 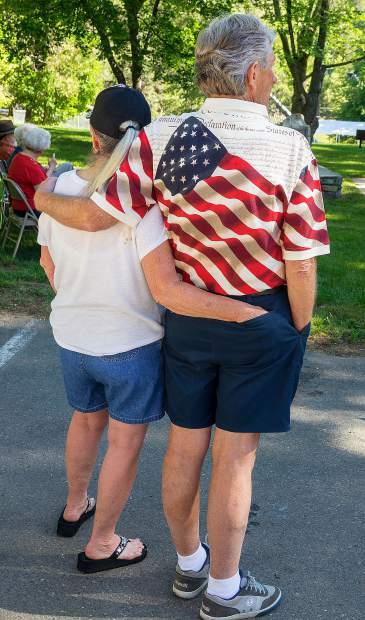 Veterans of Foreign Wars Post 2655 hosted a Memorial Day ceremony at Pioneer Park in Nevada City Monday morning. Dale Epps, U.S. Air Force Ret., shares “The Long Road Home,” a story of traveling to Hanoi to pick up 11 deceased POWs remains. 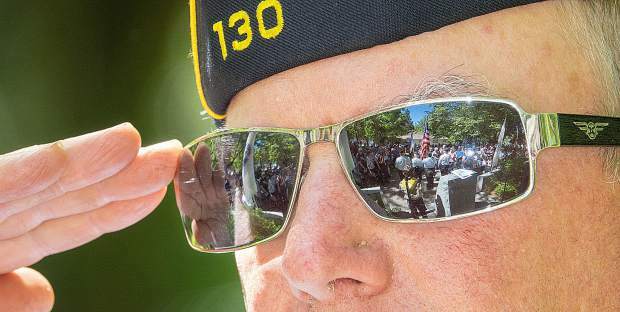 The Frank Gallino American Legion Post 130 hosted a Memorial Day program at Memorial Park Monday in Grass Valley. Young lady holding the American flag at the ceremony. 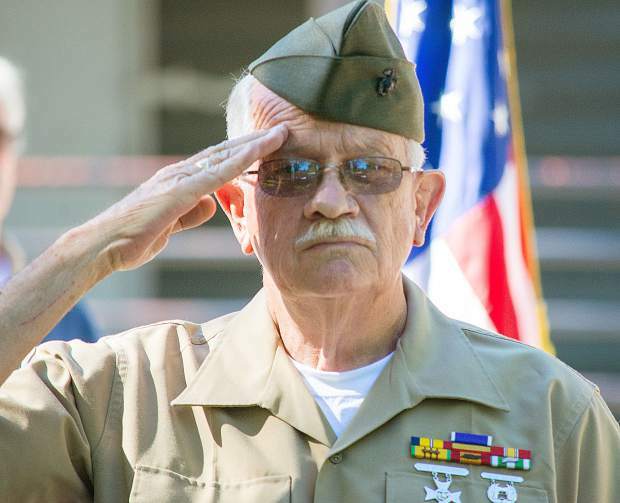 Herbert Gardner Jr., of the U.S. Marine Corps, salutes during the playing of Taps at Pioneer Park. 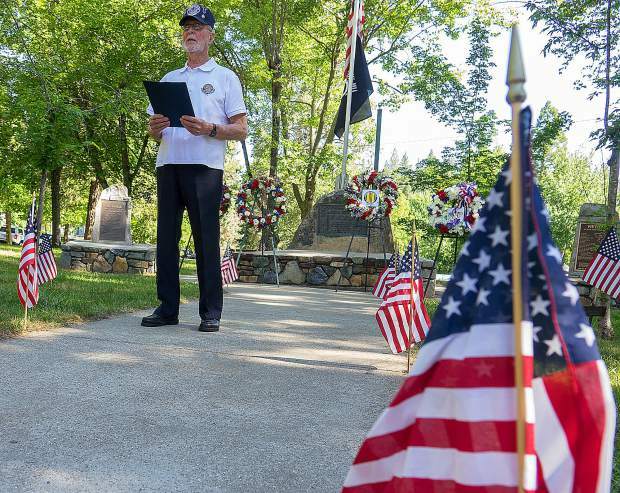 Veterans of Foreign Wars Post 2655 hosted a Memorial Day ceremony at Pioneer Park in Nevada City Monday morning. Couple waits for the ceremony to start. 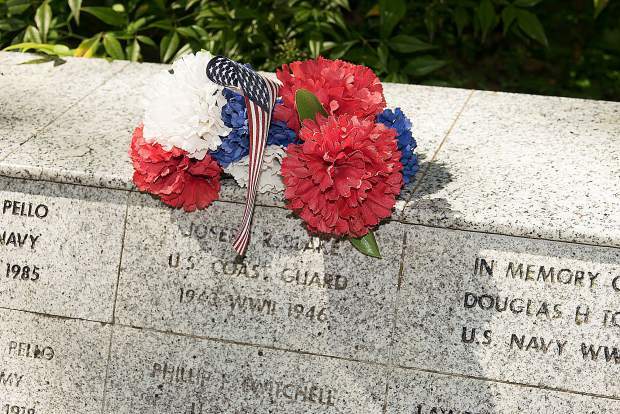 The Frank Gallino American Legion Post 130 hosted a Memorial Day program at Memorial Park Monday in Grass Valley. Flowers and American flag on the remembrance wall at the park. Will Buck, CW2, US Army (Ret. 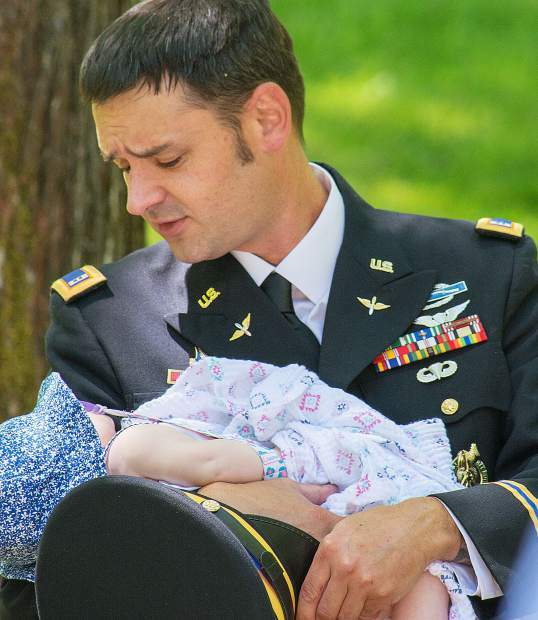 ), holds his daughter Scarlett Buck, 5 months, during the singing of “God Bless The USA,” by Barbra “Babs” Conner.